#1 Billboard Chart hit, “Call My Name," (SUNroom Album) won ASCAP’s Rhythm and Soul song of the year award (2016). The #1 smash hit single “Call My Name” (an astounding 8 weeks at #1 on the Billboard Urban AC chart!) 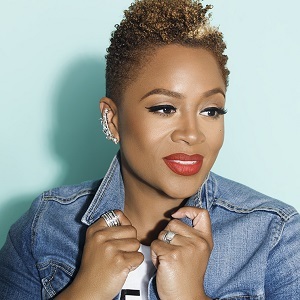 from her breakthrough album, The SUNroom, established the dynamic singer/songwriter/pianist Avery*Sunshine as one of the hottest new stars on the R&B scene. Her incredibly powerful live performances have won her legions of dedicated fans from coast to coast. Now, with the release of her inspired new album, Twenty Sixty Four, Avery*Sunshine continues to take the R&B world by storm. Led by the hit bound first single “Come Do Nothing,” Twenty Sixty Four builds on the momentum ignited by The SUNroom, filling a void for those starved for authentic, message driven soul anthems! Some people have a calling that is undeniable and Avery*Sunshine is no exception. Yet the former church pianist/musical director, who scored a #1 Billboard chart hit, was at once a reluctant warrior. “I had no idea that my work in the church would prepare me to do what I do.” Bringing people together through her riveting stage performances, candid and often humorous stage banter and optimistic anthems about love and life is what Avery*Sunshine does best. In fact she does it so well, that she has garnered praise from iconic musical figures like The Queen of Soul, Aretha Franklin, who raves, “I love Avery*Sunshine!” ​The Atlanta based singer’s no holds barred signature soul/R&B sound has also made believers of such luminaries as Patti LaBelle, Berry Gordy and Boy George who proclaimed on twitter “@averysunshine love this woman’s voice”.